Save Money – Top 10 Deals. Top 10 Coupons. Target Memorial Day Sale. 25% + 10% Off Furniture at Target. *NightHawk Crossing (Deal, Not Free) by C. Edgar North. Price: $0.99. Genre: Action & Adventure Book Deal of the Day, Sponsor. Rated: 4.7 stars on 4 Reviews. 410 pages. ASIN: B00CKWTUPC. *(Free for Kindle Unlimited) High Season: The Learnings of Mohammad Wang (Deal, Not Free) by Chazzy Patel. Price: $2.99. Genre: Mystery Deal of the Day, Sponsor, Sea Adventures. Rated: 4.8 stars on 13 Reviews. 222 pages. ASIN: B01NC3F4UJ. *Aberrance (Deal, Not Free) by Chi Dong. Price: $2.99. 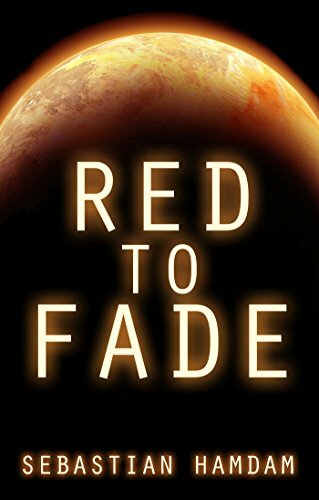 Genre: Science Fiction Adventure Deal of the Day, Sponsor. Rated: 5 stars on 2 Reviews. 357 pages. ASIN: B06XQ6ZQ7D. *(Free for Kindle Unlimited) End of the Last Great Kingdom (The Brimstone Chronicles Book 1) (Deal, Not Free) by Victor Rose. Price: $2.99. Genre: Action & Adventure Deal, Sponsor, War & Military. Rated: 4.3 stars on 13 Reviews. 332 pages. ASIN: B06ZYSMBSH. *The Three Musketeers by Alexandre Dumas. Price: Free. Genre: Action & Adventure, Classics. Rated: 4.7 stars on 38 Reviews. 3690 pages. ASIN: B074CMQDD3. *(Free for Kindle Unlimited) End of the Last Great Kingdom (The Brimstone Chronicles Book 1) (Deal, Not Free) by Victor Rose. Price: $2.99. Genre: Action & Adventure Deal of the Day, Sponsor, War & Military. Rated: 4.3 stars on 13 Reviews. 332 pages. ASIN: B06ZYSMBSH. *Shadow Men by Dan Westerlin. Price: Free. Genre: Adventure, War & Military. Rated: 5 stars on 5 Reviews. 232 pages. ASIN: B06XGKBTRW.